I stand corrected…well sort of. During a discussion with staff at my favorite seafood shop about fried fish the topic of “Fried Whiting” vs “Lake Trout” was brought up. I took the position that Lake Trout is Lake Trout and Whiting is Whiting. Well depending where you are located matters. I am from Baltimore, born and raised. When visiting Baltimore City it does not take long to see signs on small shops proudly stating “Lake Trout Sold Here” It never occurred to me how are these shops selling Lake Trout so inexpensively. Well that is where geographic location matters. In Baltimore and other cities like Philadelphia and New York, Fried Lake Trout is actually Whiting. So, what is Whiting? That is where this story gets another twist. Whiting is actually not a fish species. 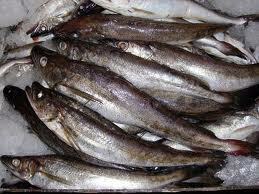 In Baltimore the term Whiting is actually referring to Atlantic caught Silver Hake. However, on the Maryland DNR website there are fish noted as Northern Whiting and Northern Whiting Kingfish. Confused yet? Me too. So, I was right, there is an actual fish called Lake Trout, just ask anyone from Michigan. However, I do stand corrected, if you are in Baltimore, and you are buying fried fish in a brown bag called Lake Trout is most likely the less expensive and more locally available mild whitefish with the common name of Whiting. Phew. Got that. Under any name – Lake Trout or Fried Whiting, it is a Baltimore favorite and deliciousness in a bag. Retail: Is your food safety management system healthy? You think the last place you ate made you sick? Here is what to do. Time as a control for food safety. Rosewood Manor on Retail: Is your food safety management system healthy?